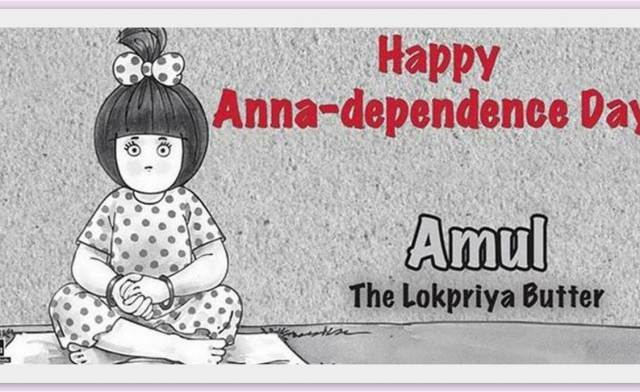 Amul has this art of coming up with print ads for every occasion. Something similar to the google doodles only that this one started much earlier. Generalization is everywhere(yet another generalization :P). All I am saying is if you want to play with it at least be funny than hateful. .
Well it is even better to respect and accept other people and cultures as they are. But that seems to be too much right now for the human kind(I refuse to accept it only as an India phenomenon). Let us at least have fun in the process then. For me, I am a great fan of good food and Music doesn’t matter what region it belongs to. Both idli sambhar and aloo paratha are my favs for breakfast! Lovely pic 🙂 Amul babies are standard descriptions for cute looking babies in the South!